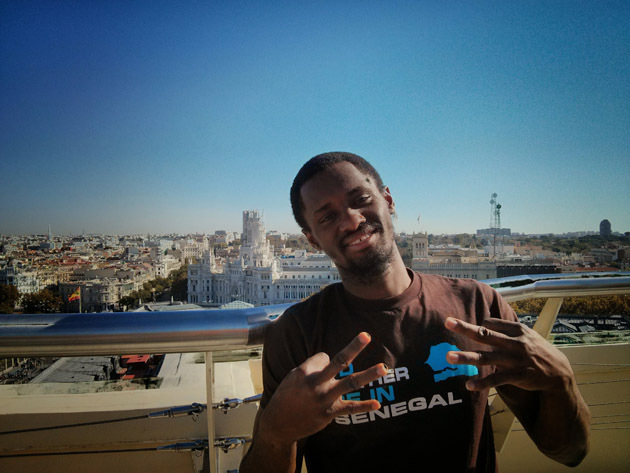 Boubacar Diallo in Madrid: "I came back feeling like I can live anywhere in the world"
Boubacar Diallo ‘16 grew up in Senegal, then lived in South Africa for two years before coming to the University of Rochester to pursue a degree in Mechanical Engineering. So he’s already seen a lot of the world. But he wanted to see more. 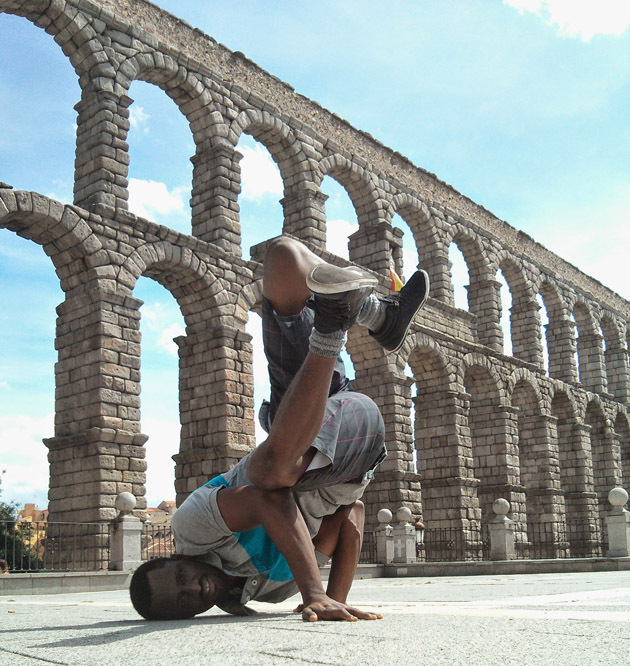 A study abroad semester at the Universidad Carlos III de Madrid during Fall 2014 was just ticket. “I wanted to experience the lifestyle in Europe as well as learn about the European Culture,” said Diallo. “I met wonderful people, made some good friends, and mostly I came back feeling like I can live anywhere in the world. So it was important for him to be able to keep up with his engineering studies while in Madrid. “I was able to take all my required classes for the semester,” Diallo said. He’s a triple and long jump star for the UR Men’s Track and Field team. His favorite experience in Madrid? Diallo strongly encourages other Hajim School students to study abroad. Click here to learn more about study abroad opportunities for MechE students. Interested? Contact Prof. John Lambropoulos, the department chair, or Rohan Palma, the Hajim School study abroad advisor.